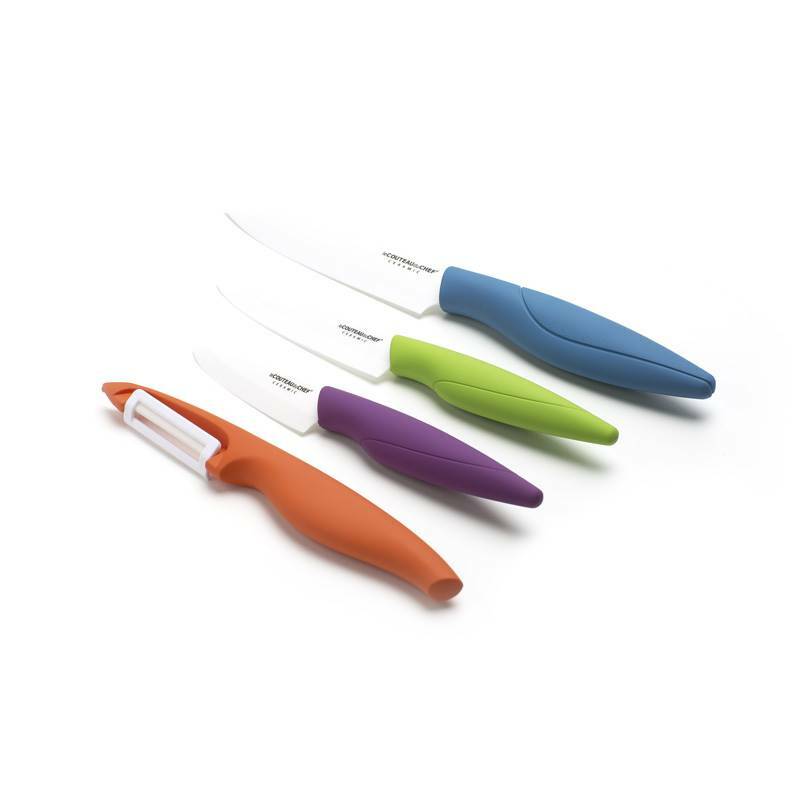 Coloured and contemporary, these white ceramic kitchen knives will brighten your kitchen up. 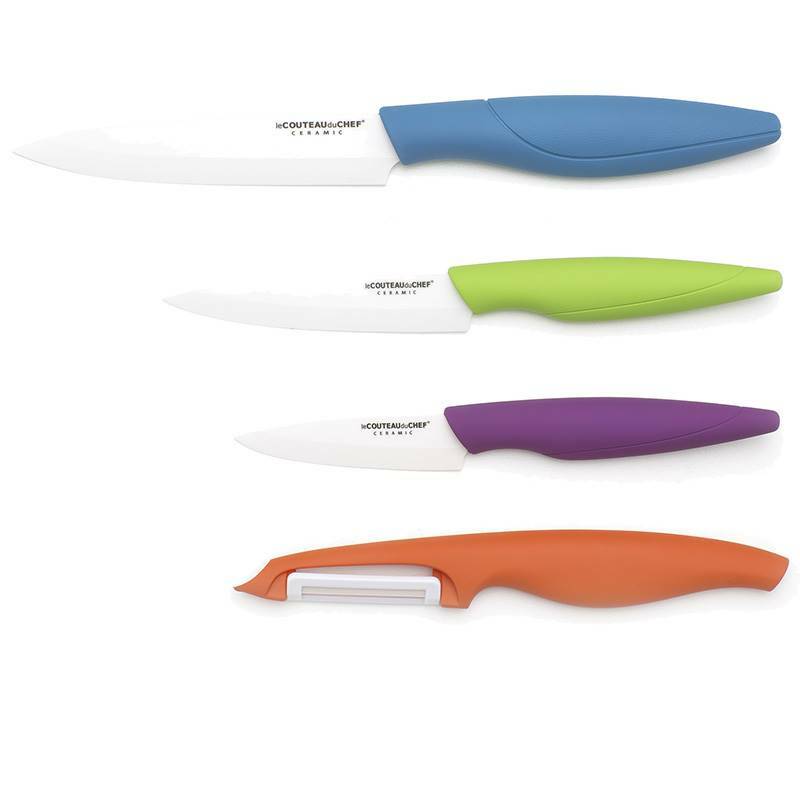 In addition to their original design, their handling is facilitated by an especially sought after ergonomics that favours the cutting comfort. 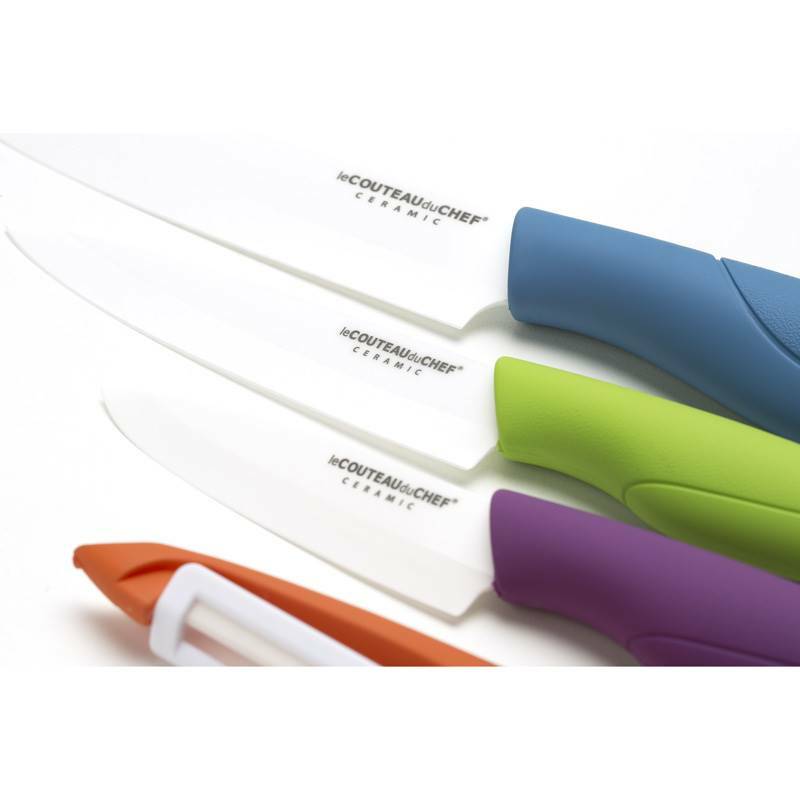 Easy to clean, they are dishwasher compatible. 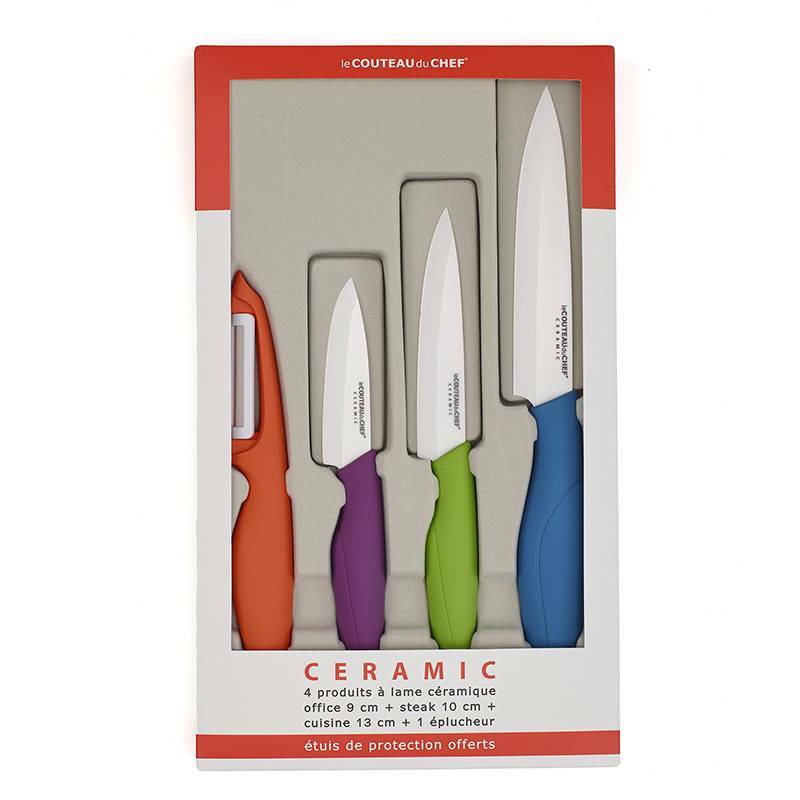 The ceramic is a material, which offers the kitchen knife coloured blades an exceptional sharpness and an outstanding hardness. 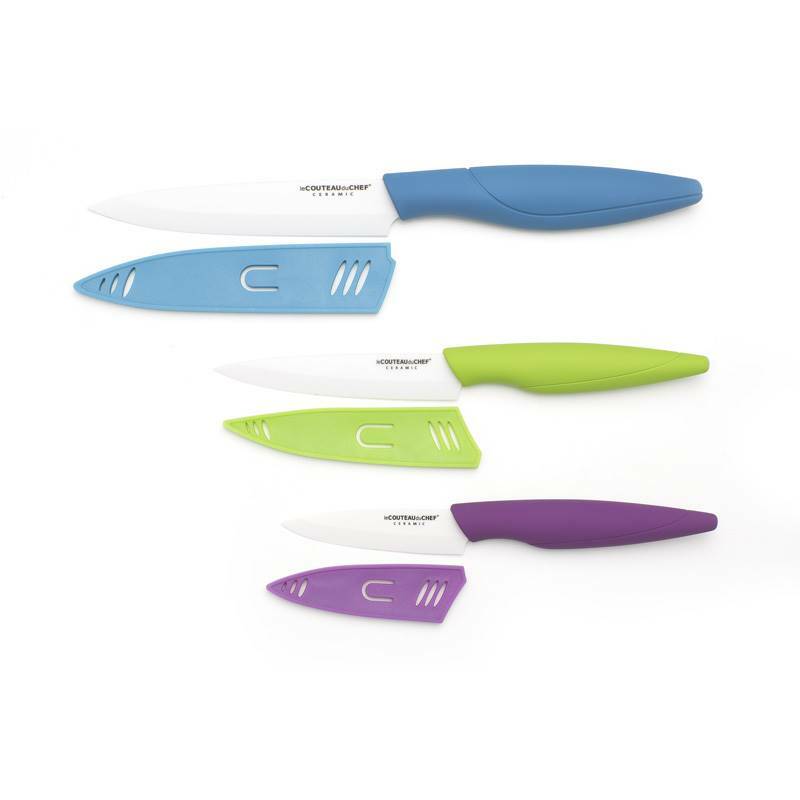 Time-resistant, the material used for the manufacturing of this 4-knife set has a very high percentage of zirconium oxide, mineral that can be compared to diamond concerning its robustness and abrasive capacities. 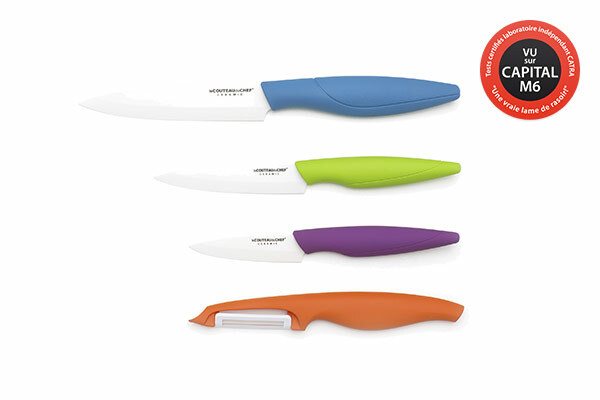 Sturdiness, lighten and breathtaking sharpness are the main assets of these knives!